A recent report found that cybercriminals have been utilizing the infamous Mirai malware as a framework on which to build enhanced IoT malware with more advanced capabilities since it first appeared in late 2016. Mirai originally shocked the world with its massive DDoS attack which targeted millions of cheap connected IoT devices, binding IoT devices to form one large connected network, using those devices to deluge website with phony requests, overloading the sites and ultimately knocking them offline. Since then, hackers have followed suit and have created new variants including Satori, JenX, OMG and Wicked. Mirai works by scanning for devices secured only by factory default logins, but Satori makes the code more effective by adding remote-code injection exploits. JenX relies more on external tools for scanning and exploitation. OMG includes HTTP and SOCKS proxy capabilities. Netscout claims that with these new features, the bot author can proxy traffic through the infected IoT devices, including scans for new vulnerabilities, launching additional attacks, or pivot from the infected IoT devices to other networks that are connected to the devices. 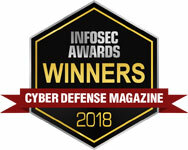 The rise in Mirai-like malware should serve as a reminder to organizations that DDoS mitigation strategies and are essential; start by implementing System & Device hardening measures to ensure botnets are not established in the first place, but in the event that malware becomes present on an IoT device or traditional computing systems, that its detected in real time and can be removed before any damage is done.